To highlight the multiple colors of yarn that comprise each Canvas colourway, the fabric is deconstructed, strand by strand, to expose the warp. This partially deconstructed roll of Canvas is then used to upholster a series of connected seats. 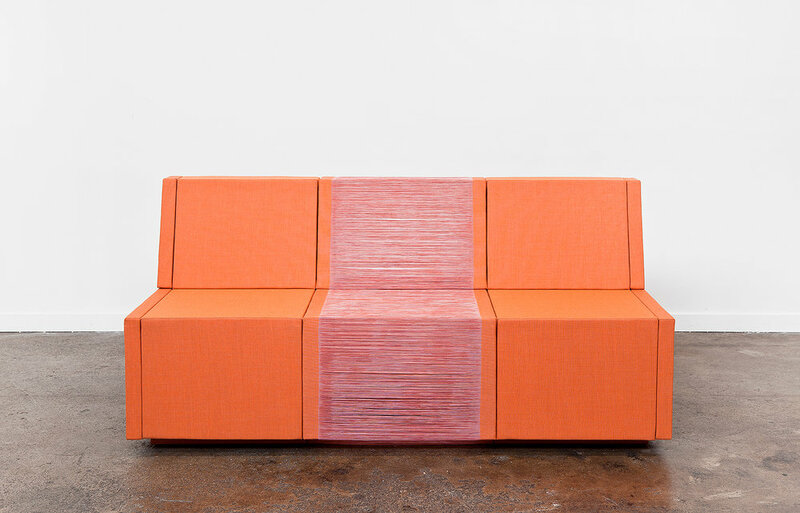 The original portions of the fabric create usable seating, while the deconstructed areas form an unusable ghostly seat. 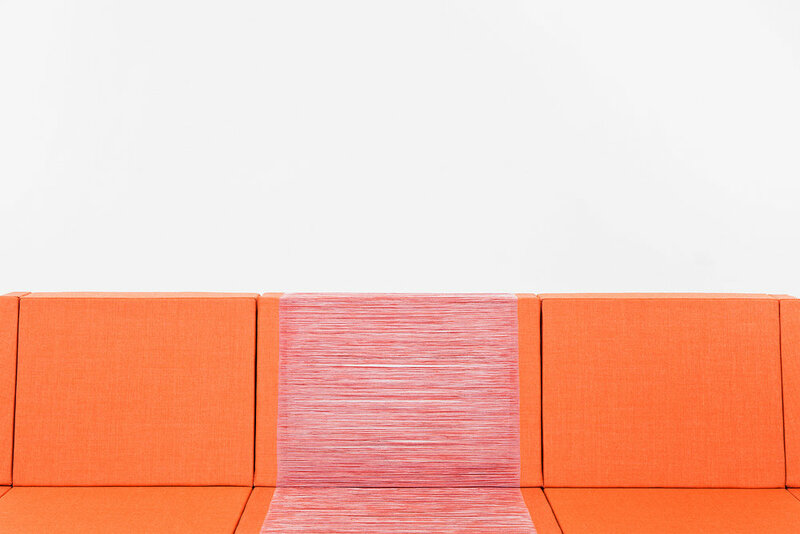 Have A Seat is a commentary on the universally practiced code among strangers to leave an empty space between them whenever possible; it is an exploration of the desire for personal space in public settings. 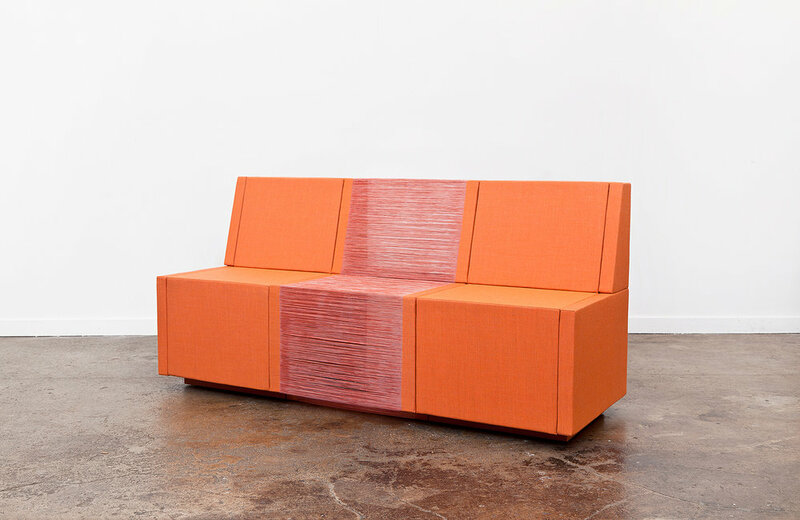 Canvas by Kvadrat, plywood, plexi and high density foam. Exhibited at the Somerset House in London.